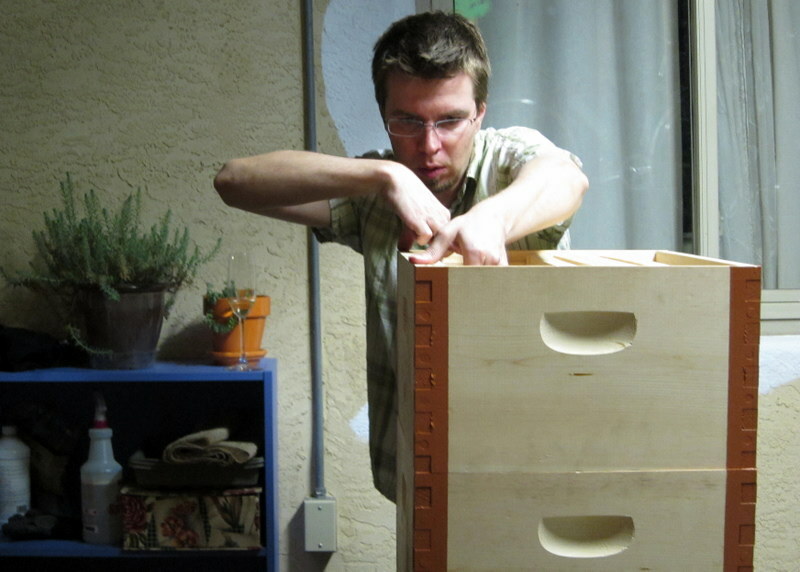 Ventilation is not what most new beeks consider when crafting their first bee hive. 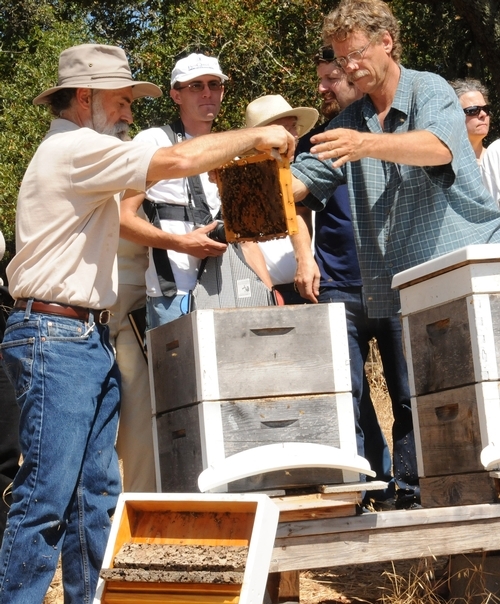 But that’s just what Sonoma beekeeper, and my personal favorite philosophe des abeilles, Serge Labesque recommends to keep your hives healthy. After 2 seasons keeping bees, I couldn’t agree more. Even in the American Southwest, known for being dry as a bleached cattle bone, I find condensation, mildew, and even lichens each spring after opening our hives. To me, the girls don’t need more insulation, they actually need less. 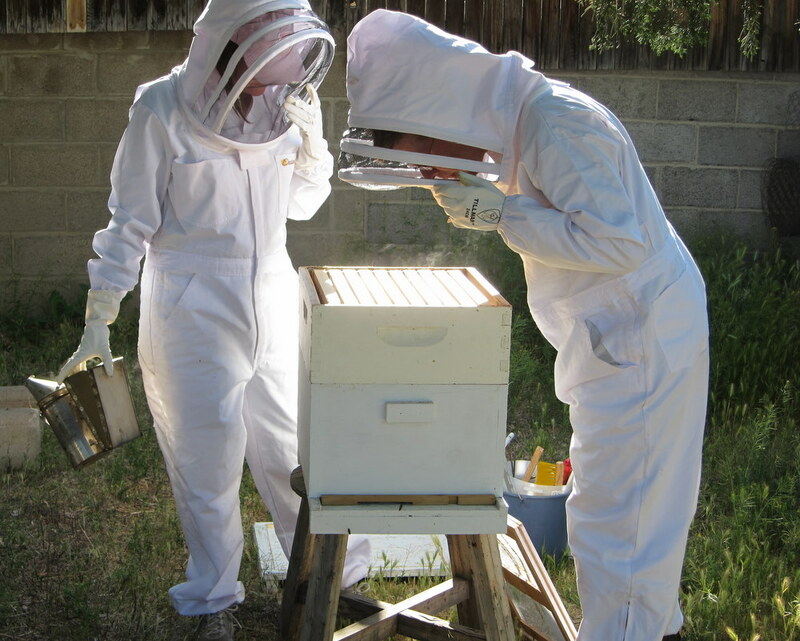 In fact, a survey I conducted with local beekeepers in 2010 shows that nearly twice as many beeks winterize their hives by ensuring there’s adequate ventilation than by suffocating their dames with a downy blanket. But Serge Labesque takes ventiliation to a whole ‘nother level by leaving his hive bodies unpainted, save for the joints. 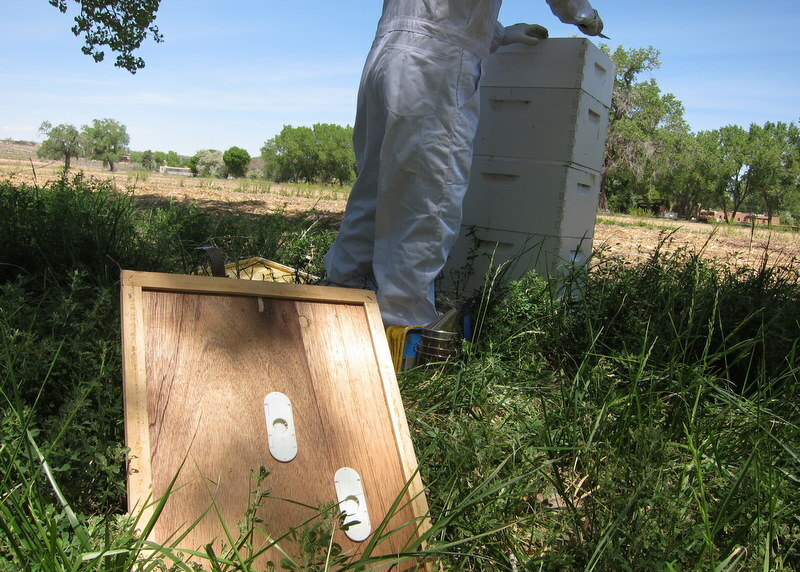 As he described at last year’s NM Beekeeping Summer Seminar, the idea is that unpainted wood can breathe, allowing the bees to have more control over ventilation. 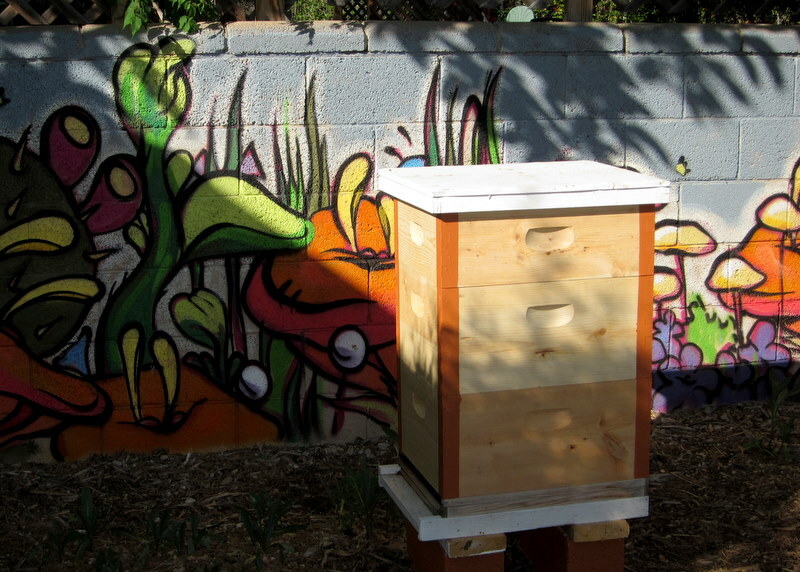 Here’s what Labesque’s hives look like. And so voila! 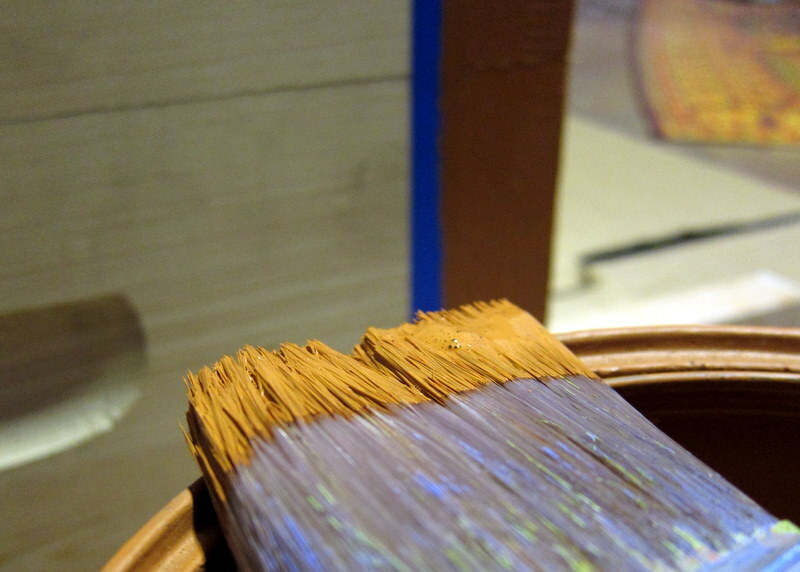 We’ve decided to go au naturel this season, leaving our new boxes unpainted. 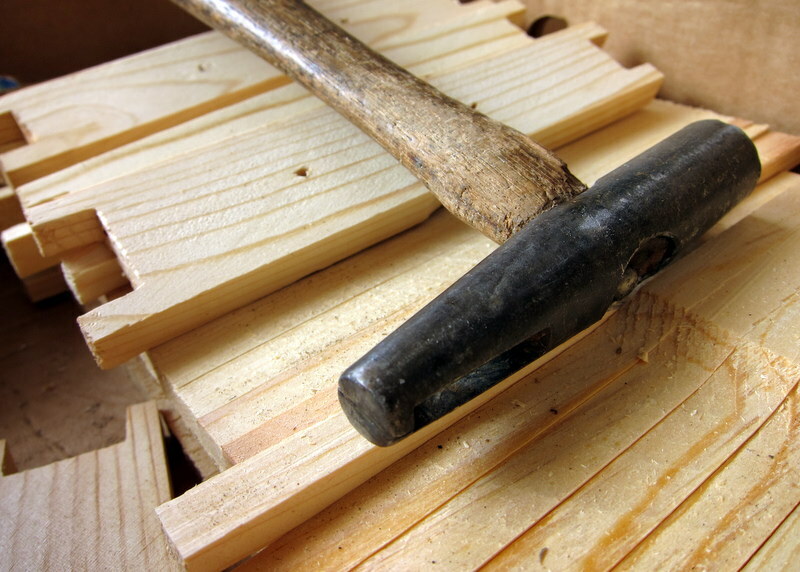 We simply bought unassembled hive bodies from Mann Lake, uncorked a bottle of champagne one Friday night and set to work. Is it business or pleasure? Well that depends on what you regard as business and what you regard as pleasure. To us, business is pleasure. 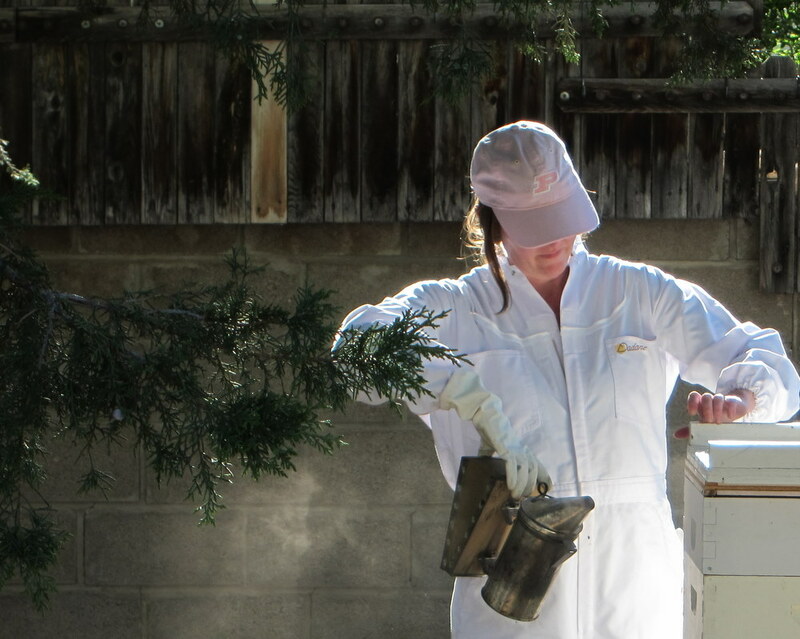 Beneath the desire to keep bees there lies an even more secret… even more primal… desire. It’s the archetypal — dare I say, boyhood — desire that leaks out in the fury of a brave dream filled with rescue and danger and buxom lonely maidens. It’s the dream to become a hero. And in this case, a bee hero. You’ve seen it in the machismo of a bare-armed swarm rescue. 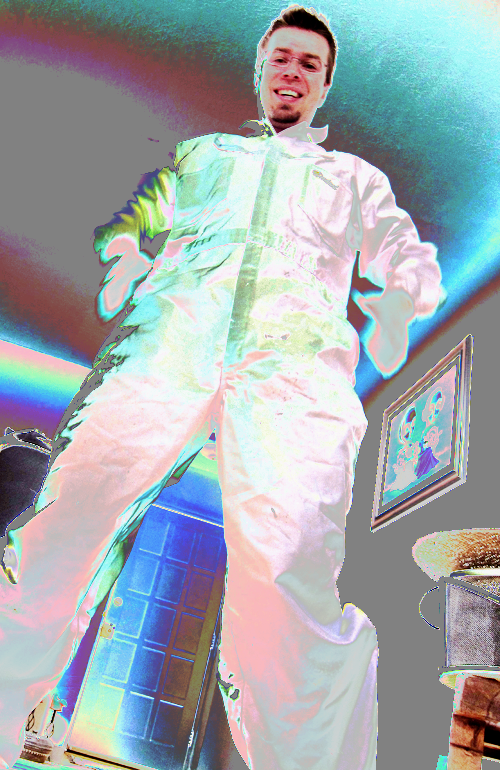 Or the bravado of a bee-wrangler when the cameras are rolling. Indeed, from mere mortal to giant white bee-snatching robot in the zip of a zipper. Believe me, your children are all now much safer. 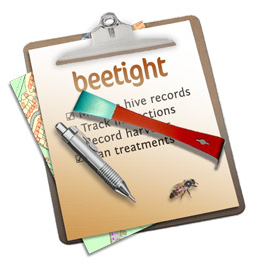 I don’t know about you, but tracking hives with paper and pen seems awfully…. well, 20th century. And thus I’m thrilled to find out that someone’s built just the app I’ve been looking for! 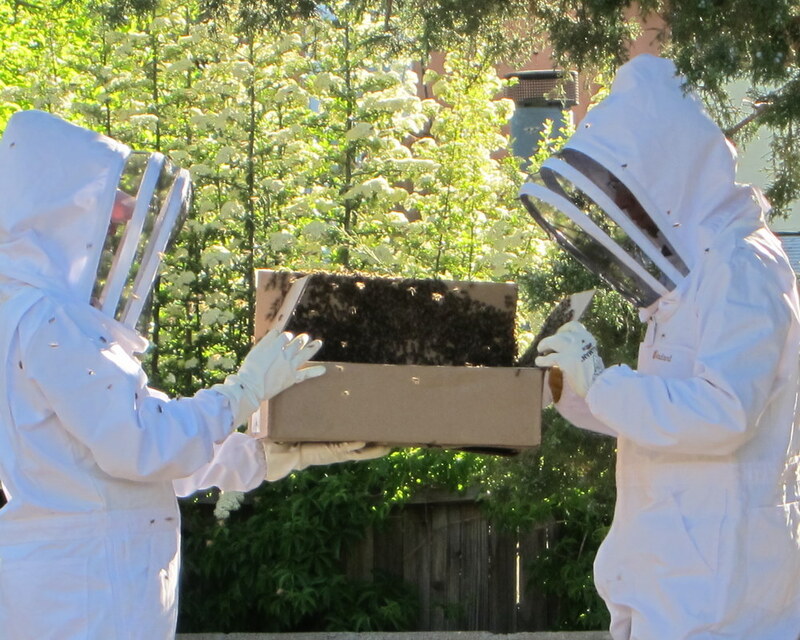 Beekeepers on swarm duty this spring, it’s time for a drink. Vámonos! 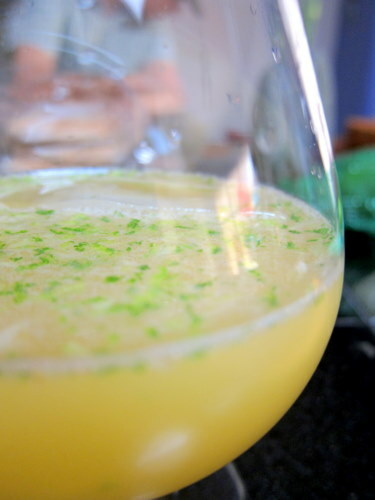 Pour the honey and the lemon juice into the glass and stir until the honey has dissolved. Add the rum, the ice and the water and stir. 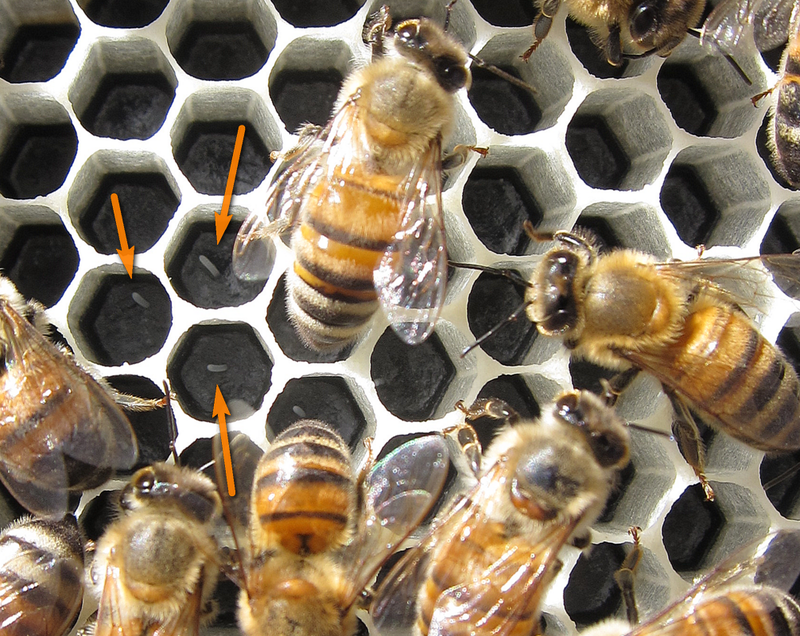 It’s what every beekeeper loves to see — fresh eggs in an uncertain hive. For newbeeks, the black Ritecell foundation makes it easier to find eggs when hunting around your hive. In this case, the sign of a fertile queen is unmistakable.